With coupon code at Cyberlink.com. 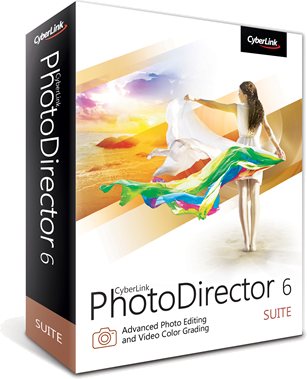 PhotoDirector 6 was just released and you can save 5% on your purchase when entering coupon code OFF5P at checkout at cyberlink.com. That’s a savings of nearly $10.00 on the Suite version. You can also choose the Ultra or the Deluxe versions as this code applies to all orders made store-wide. Offer valid until April 15, 2019.
when upgrading to version 6. If you currently own Photo Director 4 or 5 then you may qualify for the upgrade discount. Upgrading will save you 30% off the list price which helps drop the price down from $99.99 to $69.99. They will validate your order at the time of installation by asking you to enter your existing product serial number. Cyberlink only sells upgrades thorough their online store so you won’t be able to find them at any other resellers. If you’re a student or know some one that is (from grade school to college) then you may be able to take advantage of the lower student pricing. As long as you qualify (providing a school id is used for verification), Photo Director 6 Suite goes from a retail price of $149.99 to $69.99 saving you about 53% off. This bundle also includes ColorDirector (Win) for video color grading. You can find some pretty good deals on Photo Director from several resellers. Our favorite for Cyberlink is from B&H Photo Video. They seem to consistently have it priced for about 20% off the list price and will not charge you sales tax unless you live in New York. Standard shipping within the United States is also free. If you’re currently running an older version of Photo Director or looking to buy it for the fist time, then be sure to download the free trial if you haven’t yet had the opportunity to test out the software. Cyberlink offers full 30 day trials on most of their software and lets you try out all of the new features and functions with no commitment to purchase. Afterwards, you’ll entire have to purchase a license to continue using the product or uninstall it from your machine if you decide to go with another program. All they will ask you to provide is your email address and name to access the download link. Be the first to know when Photo Director 7 will be release by Cyberlink by signing up to our release date notifier mailing list! What’s new in PhotoDirector 6? If you’re looking to switch from Photoshop, Cyberlink has made it more compelling than ever with version 6. Not only is it much more competitively priced than Photoshop (and without the expensive cloud-only subscription option), but also a lot more feature packed. The new version boasts full 64-bit and High DPI support, RAW file support, and 4K UltraHD video slideshows. You also get over 50 different new features including Automatic Lens Correction, HDR Bracketing, Split Toning, and Enhanced Noise Reduction. Access to DirectorZone.com is also included with your purchase where you can download additional lens profiles. Plus the free PhotoDirector Mobile app will let you take and edit your photos on the go from your compatible mobile device (both JPEG and RAW images are supported). Found an invalid or inactive promotion? If any of the deals for PhotoDirector 6 are not working on this page as advertised, then please let us know. We check all of the offers every few days and work closely with the resellers to make sure we have all of the promotions listed here looking right, but it’s possible that a deal expired earlier than expected. All of the sale prices listed on this page are controlled by the merchant – We unfortunately do not set pricing, we just report on the best deals out there. 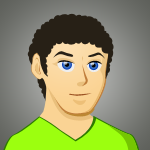 We welcome your feedback and any deal finding tips that you may have on PhotoDirector or other programs from Cyberlink. We’re here to help!